GVSA TATIUS by Accoyo Alarico takes BLUE at GWAS 2013! density and consistency of lock! COME SEE US AT GWAS AND NATIONALS! BREEDING SPECIAL! We will have some of our amazing juvies at GWAS and Nationals in May. Both of our wrinkled skin babies will be showing! 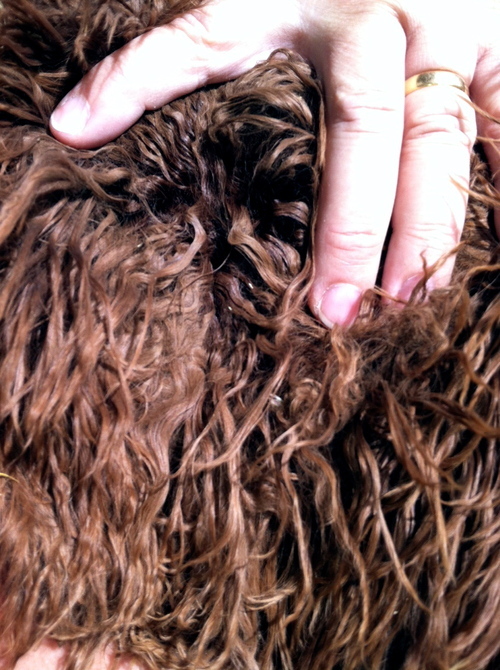 You have to see these babies and their fleece! We will be offering breeding discounts/ show specials. 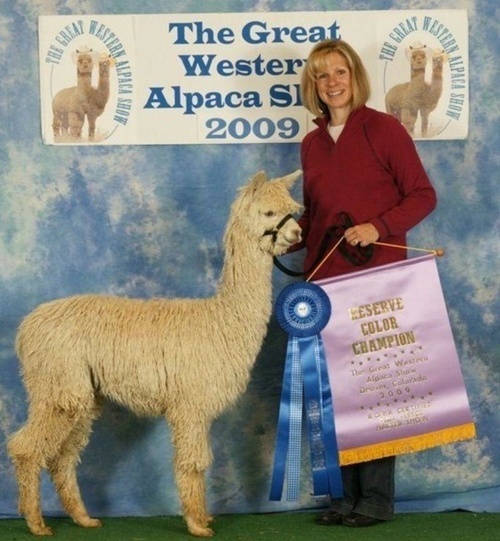 Breeding specials: to any of our amazing Champion Herdsires for $1250! Book at the shows. Half down, half at breeding time. 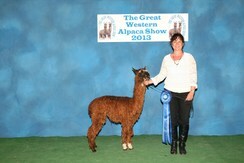 Breeding good for 1 year after the shows if half paid at the shows. 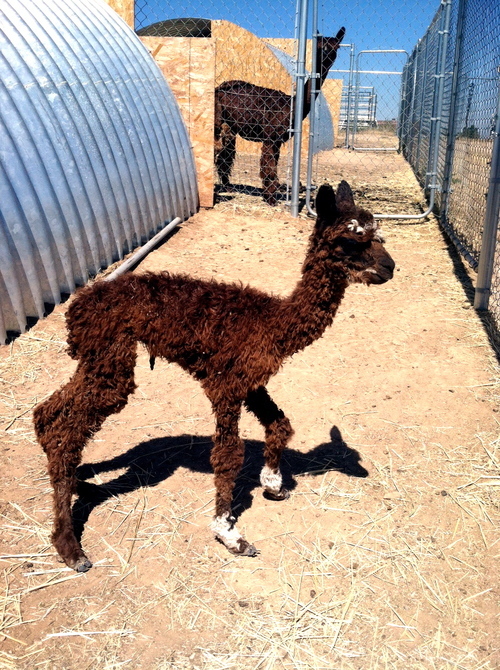 We are very excited about our true Black male cria, GVSA Dario. He has amazing bloodlines, Sergeant Major Jax Grandson! 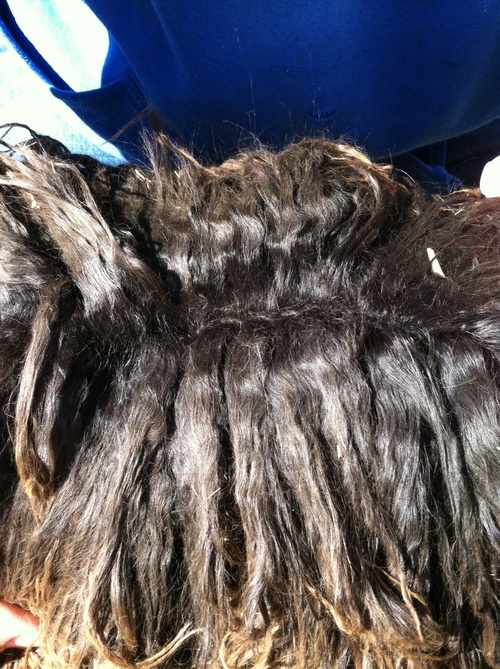 His luster is consistent and he has gorgeous locks. RARE WRINKLED SKIN BABIES HERE!! 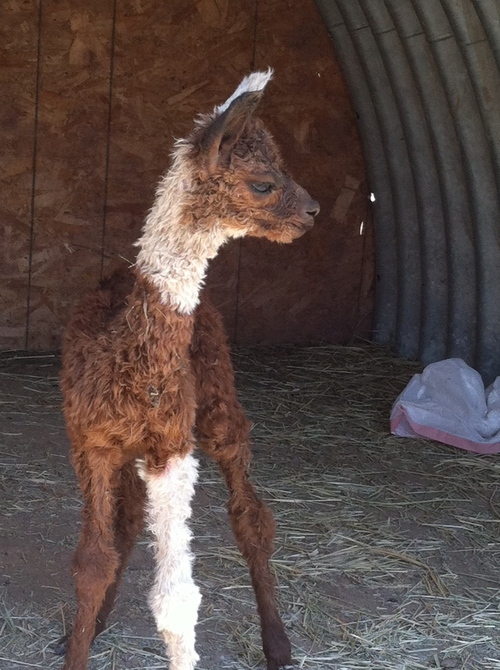 We are beyond thrilled with the arrival of a wrinkled skin cria sired by our fabulous National Champion ,Dom! 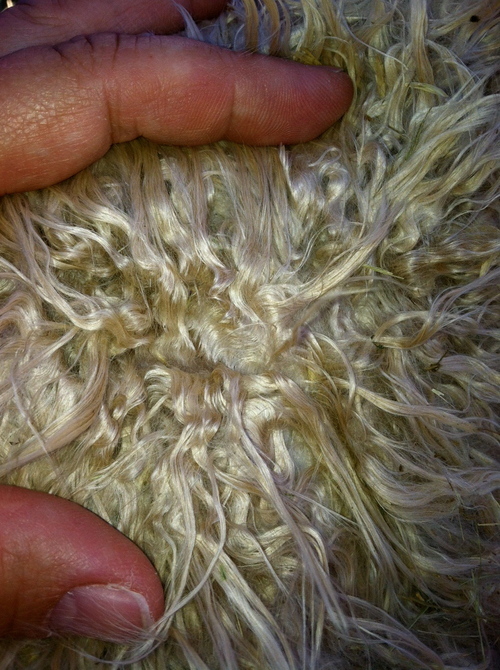 Wrinkled skin alpacas are very rare.They have extreme density and elite fleece! 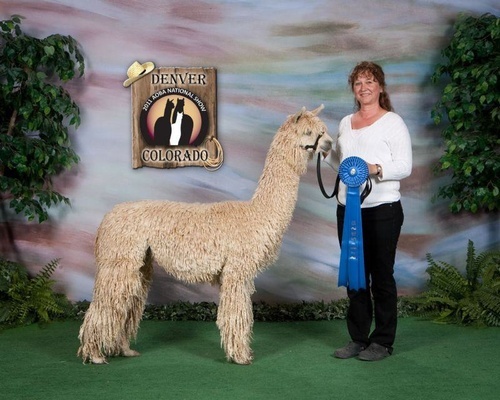 Book your breedings with Dom now. 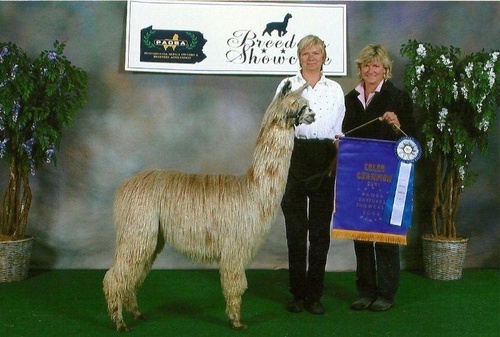 His breeding fee will go up as more of his crias hit the ground in 2013. Check back often for new arrivals and best selection of Dom babies! Surprise Cria! Sire is revealed! 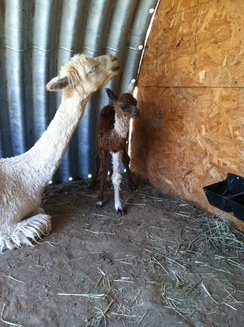 While I was out of town, my husband had a surprise when he went out to feed the alpacas! A new baby! 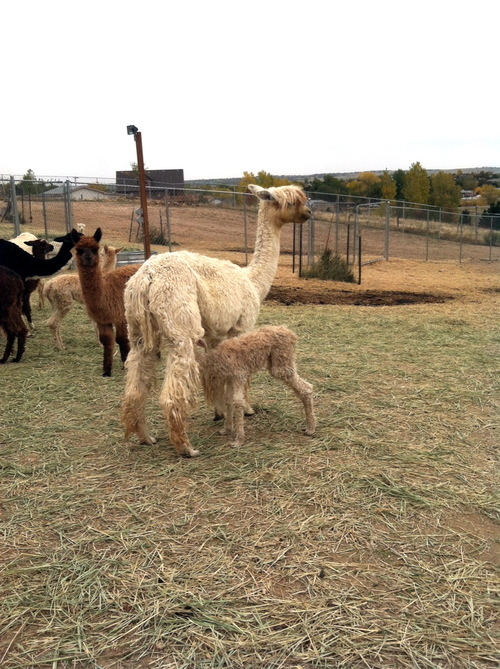 We were not expecting any more babies so this was big news for us! 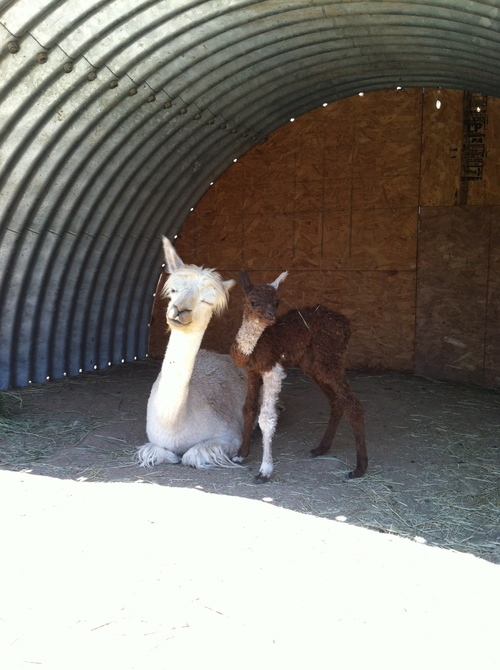 Our sweet Pearyl had delivered an AMAZING WRINKLED SKIN little boy! Pearyl was not bred last year( intentionally that is) so we are beyound thrilled with this little guy. 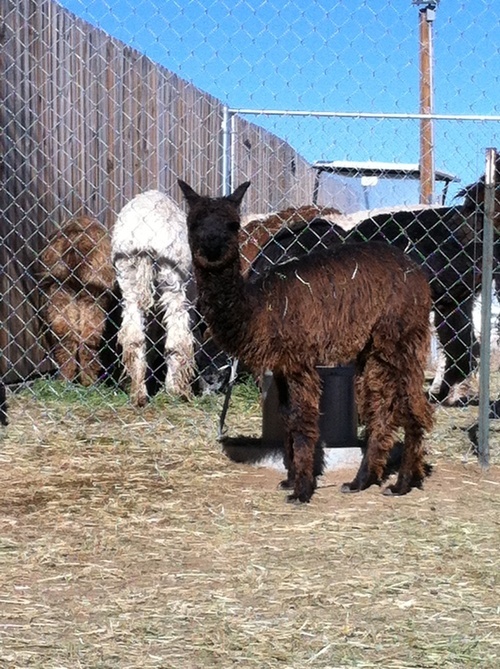 We are not sure which male she bred with as the males and females are kept apart. 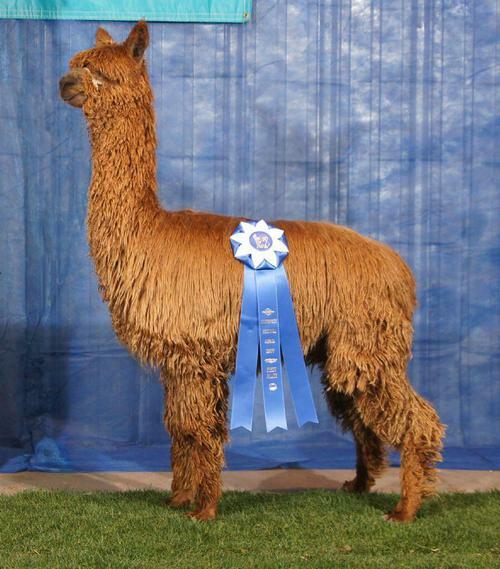 Test have confirmed.....our herd sire Dom is the sire to Bendito!! So we now have 2 males that produce rare wrinkled skin! We are completely surprised by this! 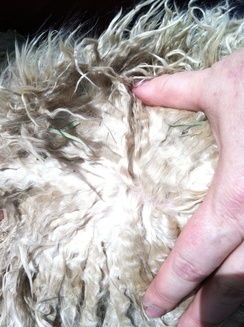 just look at his fleece! 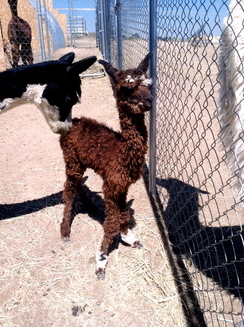 Sukra delivered an Amazing dark brown male!! He is a keeper! WOW! we are so impressed with this new male form Sukra and Alarico!! 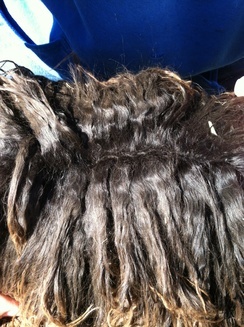 He has terrific coverage and stunning luster and locks all over his body! He has rare wrinkled skin on his neck and body like his sire, Accoyo Alarico!!! It is a no brainer that we are keeping this boy for our herd sire row. He will be a perfect match for any MacGyver line females! We have a few and can't wait to match them up!! 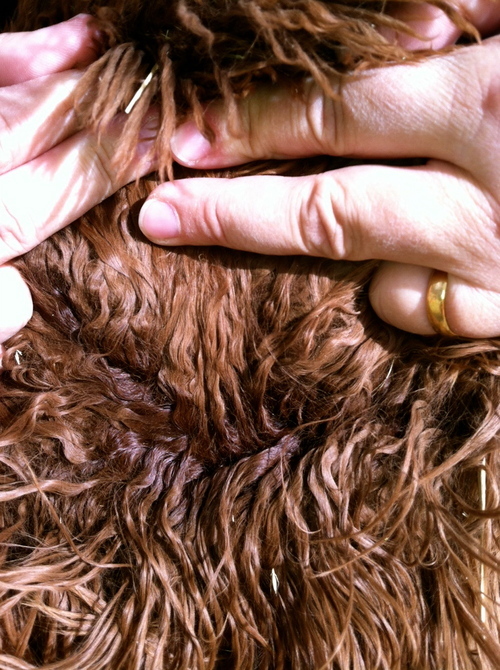 Sukra has been bred back to Alarico. Our amazing Zanna gave birth to a beautiful dark brown and white Escalante' daughter!! This little girls has it all! Locks, luster and she is a sweetheart. 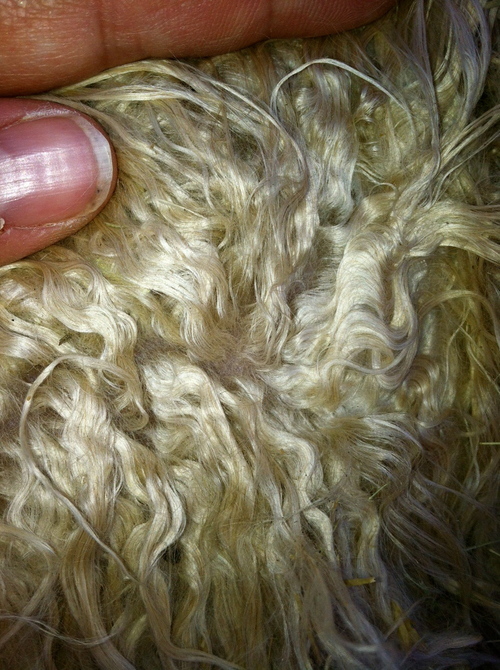 Zanna has been bred back to Escalante'. Zanna's 2012 female cria, Adoncia, is already SOLD! 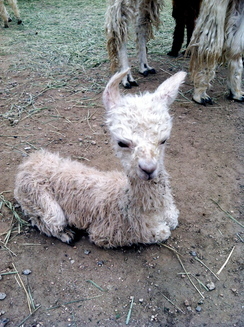 Since Zanna is bred back to Escalante', we are very anxious to see if she has another gorgeous multi cria like Adoncia!